Bonjour lecteurs! We have been using the same buggy for pretty much two years and a half. 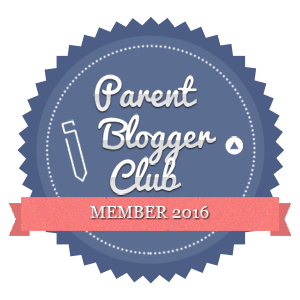 I spent a lot of time looking into it before Baba arrived (it was one my big baby essentials!). I have been very happy with it so far but as we were off to Spain, I wanted something a bit smaller. A stroller was the best option for us to travel on the plane. The decision was made to try something totally cool so we went for the iCandy Raspberry. 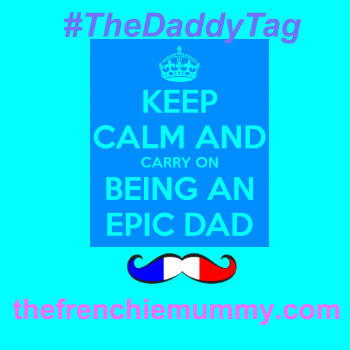 We have tested it in all the conditions and even before going on holiday because pourquoi pas? 🙂 Here is for you our Frenchie iCandy Raspberry Review! If you are too looking for a city stroller, regardez! Weighing 6.6 kg, the iCandy Raspberry has been designed to be the perfect urban stroller. With a lie-flat seat unit so that it is suitable from birth, it has without a doubt a very distinguished look! A big box is in the house! As soon as it arrived, I was very impressed with the whole package. 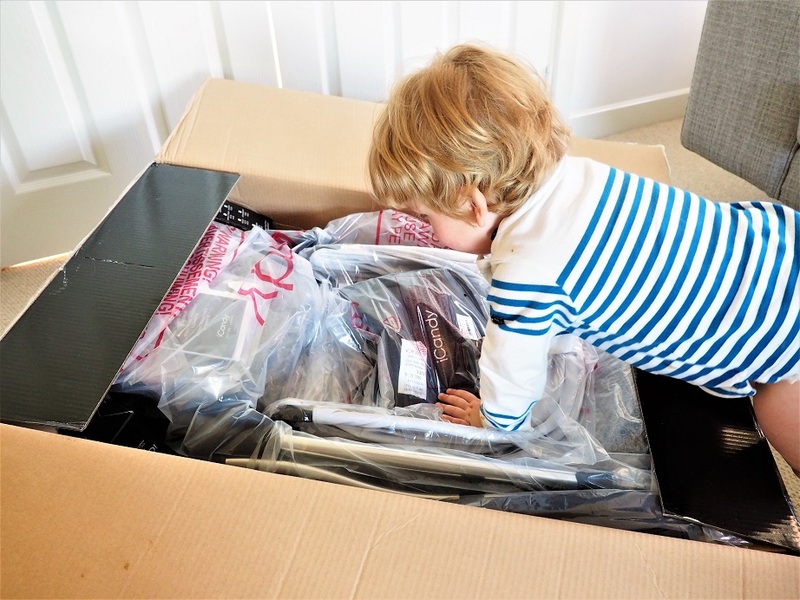 Not only we receive a very good looking stroller but we also got spoiled with fab accessories such as a cup holder and some car seat adaptors. Baba was well excited when we opened the box and he was very eager to test it himself. The stroller is super light and we took it for the first time on a day out in London. Easy to ride, its 4 wheels makes it super quick to jump on and off the bus or the train. Great start! 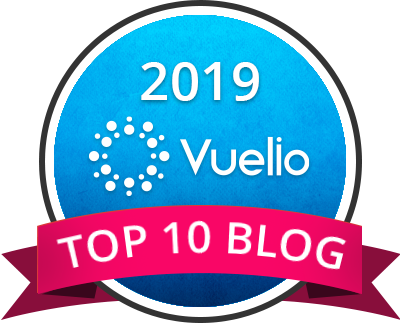 Now let’s share with you 5 things we like with iCandy Raspberry! Call me superficielle but I totally love the iCandy Raspberry look! The brand offers a large choice of couleurs but we decided to go for a neutral grey. If I had a girl, I would have totally bought the pink version! It is too cute to be ignored! While visiting Windsor, it was great to have the iCandy Raspberry! And everything fitted well in the very generous basket! The straps are also very resistant so your little one would not think to run away. It is ok when they are babies but when you have a cheeky toddler, it is a very useful feature. You have to be strong to get out! Do you know THE thing I hate when I buy a new product? When you have to read a long list of instructions before starting to use it. I get bored and end up giving up even before starting. Or I ask Grumpy Boyfriend and he sorts it out for me! Not such an issue with the iCandy Raspberry. Easy to fold/unfold by pressing the buttons on the side. It was a bit stiff the first time around but I am now an expert. Folded and off we go! Hold on… Baba forgot his car in the basket! 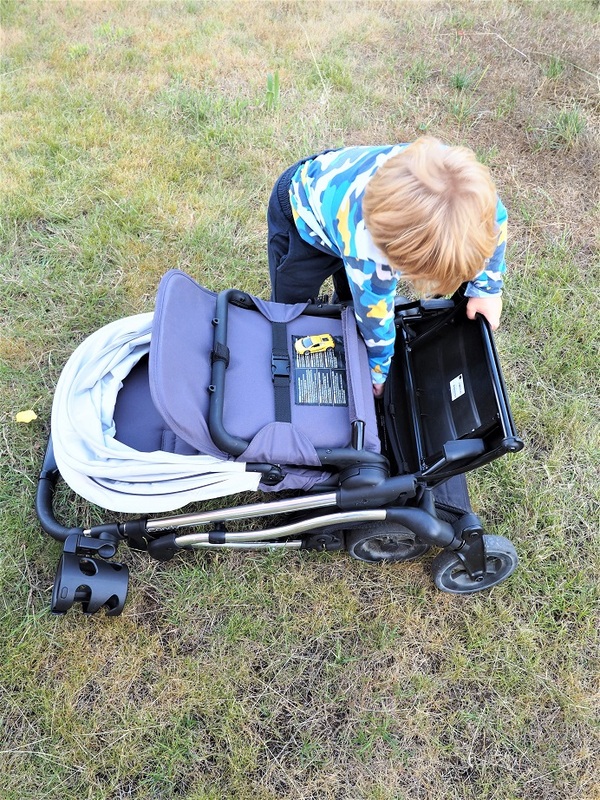 Simple et voilà, the buggy is packed to go on any adventures. Hanging out at the airport? It is also freestanding when folded! Now, if you are a maman in the city, you know how awkward and difficile it can sometimes be to use public transports without feeling like you are using too much space for you and le bébé, right? Well, it is not the case with the iCandy Raspberry! I love the way you can lower down the handle so that you can take less space on the bus! Plus, with it interchangeable canopy, you can start having your little one facing forward and change it later on! Baba does not need to look at me now but it is cool to know that I have the option if I want to. And if your child falls asleep, no need to make a fuss. The set gets down so nicely! Riding the iCandy Raspberry is a dream come true. I thought my old buggy was fab, but this is something else! Because of its 4 wheels independent suspension with new innovative tyres, it feels really smooth. The all-around suspension makes your journey more enjoyable. It can sometimes be tricky to travel in town and this is really helping parents having the greatest journey possible. Going for a walk with Baba in the iCandy Raspberry is fast, silent and not too sporty. Because you don’t want to struggle or feel like you are doing a workout while out and about! While writing this review, I reckon I wanted to use the word ‘easy’ a dozen times! I think it sums up très bien what I make of it. 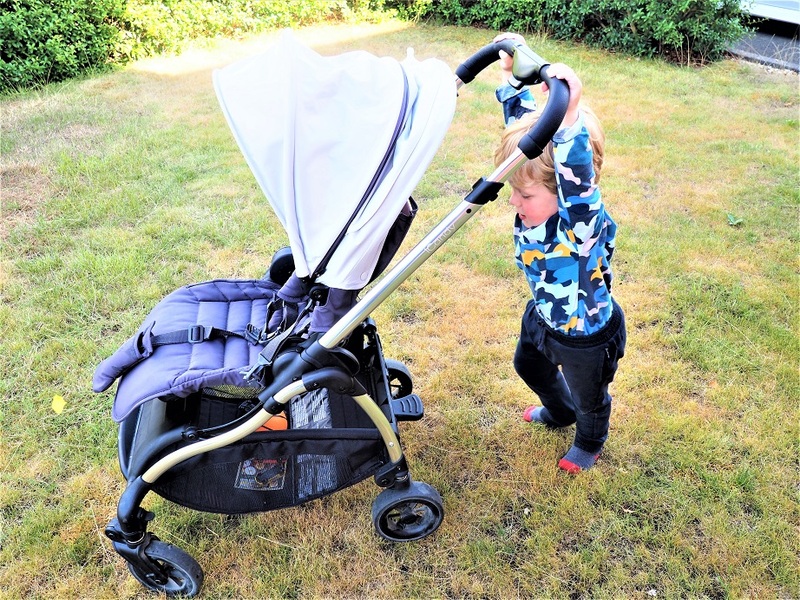 To me, the iCandy Raspberry is a fab urban stroller for mamans always on the go! Well, it must be comfy too to fall asleep like that! It is so light you can carry it with ease, especially if you are using a lot of public transports. Riding it or folding does not involve too much energy. It is stylish and yet super effective to walk in town and be as quick as you need! 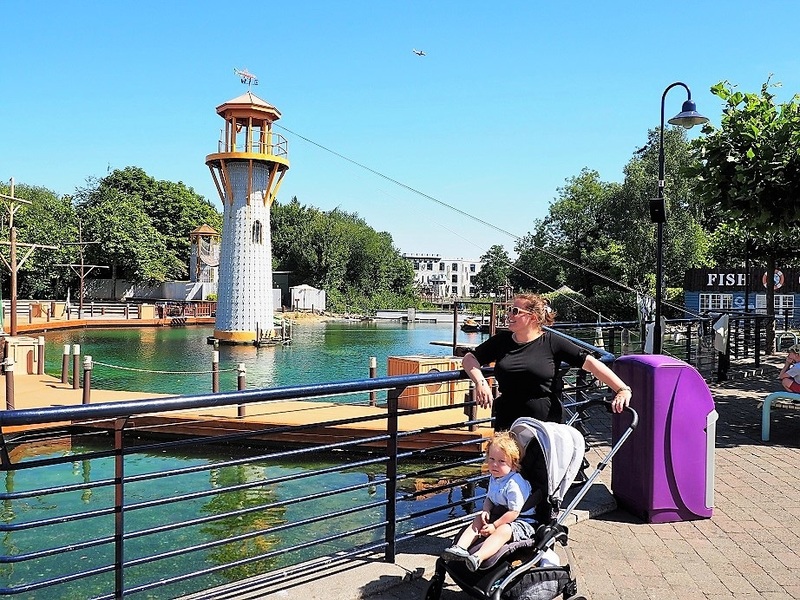 The iCandy Raspberry is a very beautiful city stroller. With its very polished look and key features, it will become a great ally for any parents on the go. 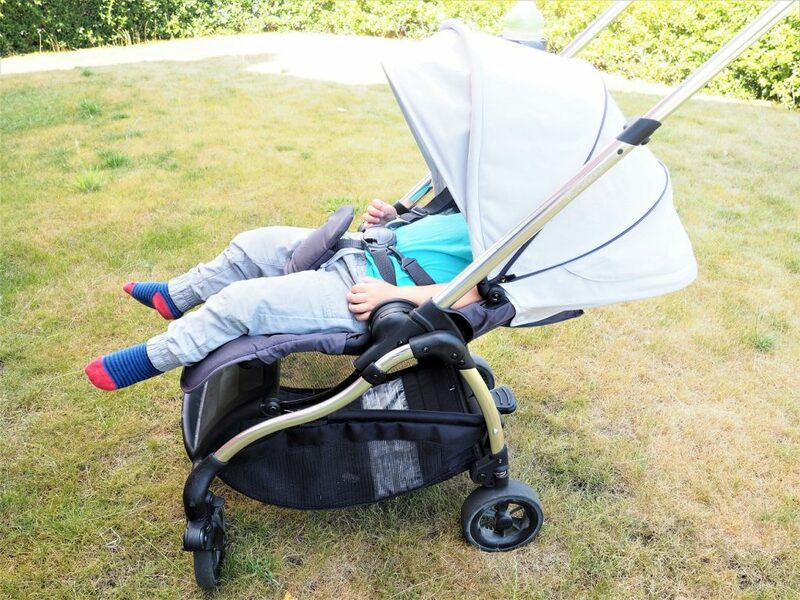 We love the fact that you can have your little one more or less close to you with the adjustable handle. Plus the stroller has some cool details such as a zipped pocket at the back so that I can put my phone without smashing it on the floor (it happened once with our old buggy, oops!). Even Baba wanted to have a go! Whatever you are up to, it will make your journey fun and stylish! Robust but also light so that you can travel with it everywhere, have some fun and go shopping now with its large basket! 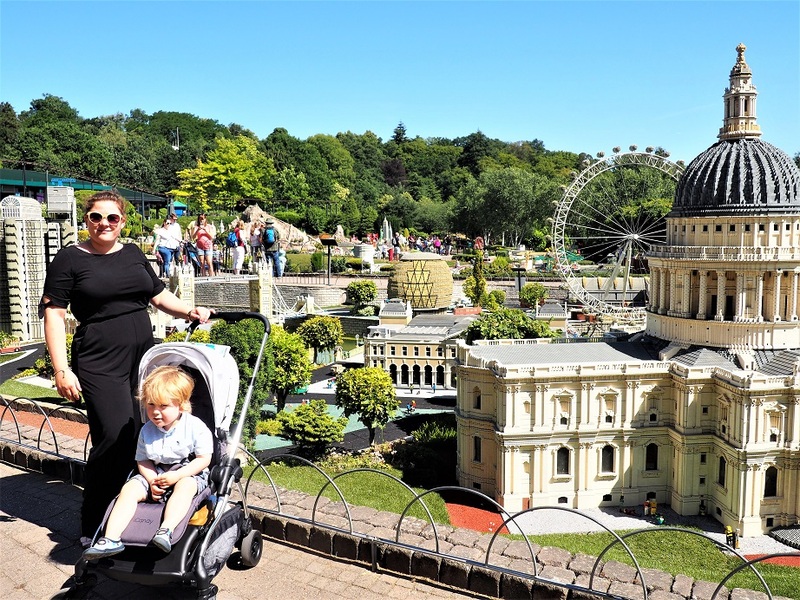 We really enjoyed using it while spending a fabulous family day out at Legoland Windsor®: it was fast to ride through the crowd and Baba was comfy at all times. The iCandy Raspberry is aimed at parents in cities, but it is actually a fab companion to have when you travel abroad! Thanks to its fab folding system, you can be quick in queues while visiting places. And it multi-positioning means your little one can be comfy at all times, whatever they are up to! It was such a great stroller to have for the holidays! Eventually, Maman did all the hard work. Well, it was not that difficult really! 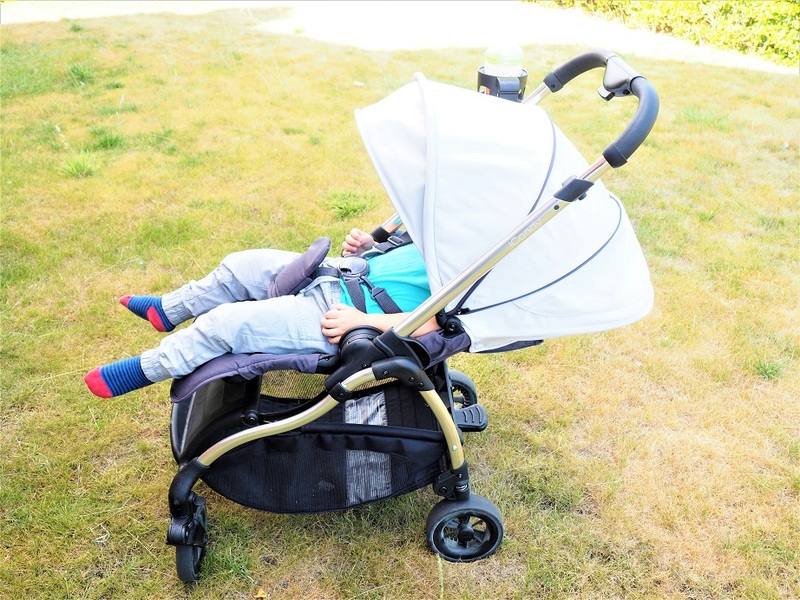 If you are living in an urban area or looking for a buggy to travel, the iCandy Raspberry is a good option! Convinced? Have a look now at the brand’s website and see what is your fave style! Thanks as always for reading our iCandy Raspberry Review! We had so much fun testing it! 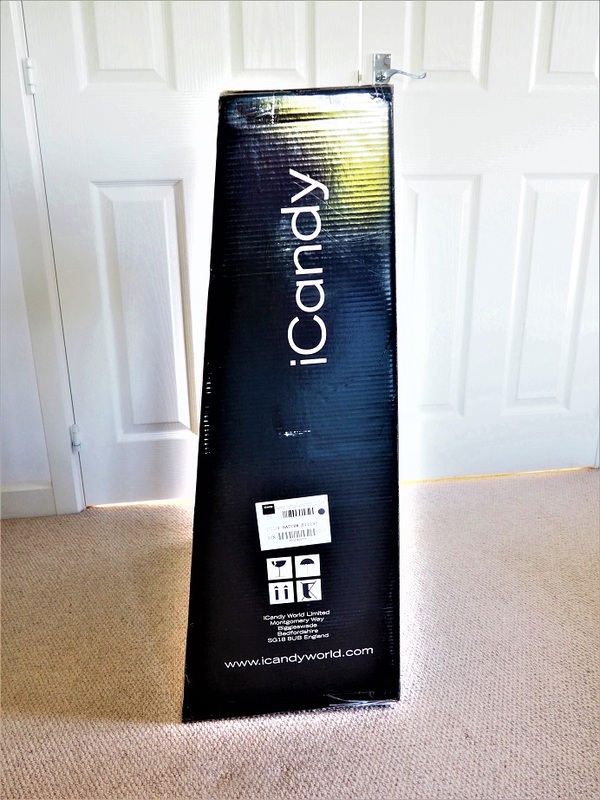 Disclosure: We received the iCandy Raspberry for free in exchange for an honest review. The raspberry looks great! We had a peach when both the girls were little but as they grew we needed something smaller and this was on my shortlist. I loved how compact it folds. I hear so many great things about the iCandy range. The raspberry looks fab, perfect for city breaks and trips away. I think I would have bought it just for the name! Oh this looks lovely, I definitely want to look at this brand as I need something that folds up small for travel. It’s so well designed. 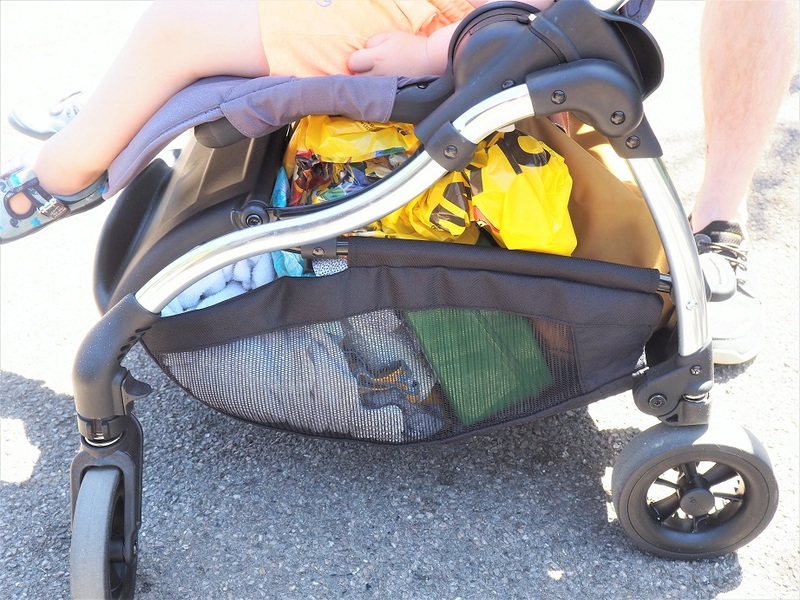 I’m impressed that something so light and which folds to such a small size is still so comfortable for a toddler and has a large basket for all the essentials for a family outing. Always wanted an iCandy, they are like the jaguars of the pushchair world! Love this honest review. I’m thinking of buying a good stroller for my niece and this one is what I’m looking for. Thanks for sharing ♥️ ♥️ By any chance you are interested on doing collaborations, you can check out the collaborations portal of Phlanx.com and connect with amazing brands! looks like a clever bit of engineering to make mama’s life a little easier! I’ve heard great things about iCandy prams and strollers and it seems they continue. We’re past the stroller stage but if I know anyone looking for one I’ll be sure to suggest this! It’s really important to have a good sized basket too! As mums we end up carrying half the house with us! 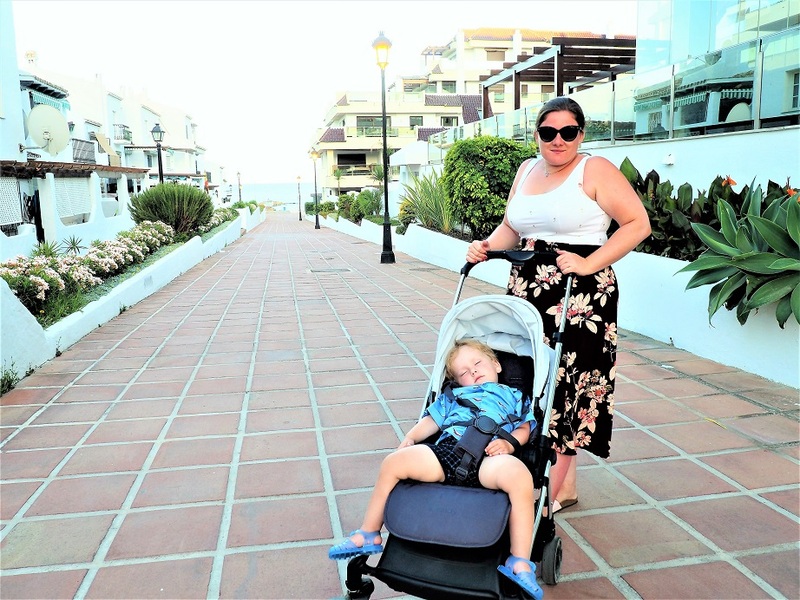 l always wanted an iCandy but my partner said no – too expensive! 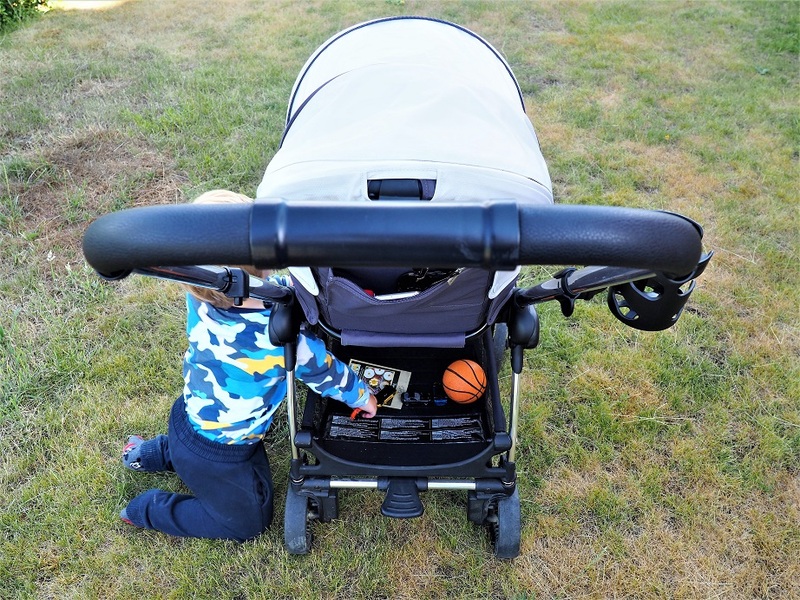 There are so many factors involved in buying a really good buggy…it’s harder than choosing a car – seriously!! It looks great – good quality, safe and comfortable. Loving how much storage there is underneath too. Looks good for trips around town. 6.6kg is light enough that even I could handle it..! It looks like it has loads of storage too! Looks nice and easy to set up and use. Looks comfortable and lots of storage! Thank you for this fabulous review! We are at the moment researching strollers!